Like a well-oiled machine. When Apple is preparing new products for market, the company’s Asian supply chain leaks in predictable ways. The latest rumor, which fits snugly with what’s already known, indicates Apple suppliers are shipping the 2012 iMac and Retina 13-inch MacBook Pro in quantity. So, soon or sooner, these long-awaited and hotly anticipated fruit-flavored computers will go on sale. Tapscape reported back in August that display component rumors reaffirmed a Fall release for the 13-inch Retina MacBook Pro. However, things seem to be moving along rather quickly. With the 2012 iMac Release Date (See also: 2012 iMac Rumor Roundup: Benchmarks, Specs and More) coming as soon as September 19, it makes sense that Apple will deliver the 13-inch Retina MacBook Pro at the same time. Bolstering the notion of a bumped up schedule is the news out of Taiwan. 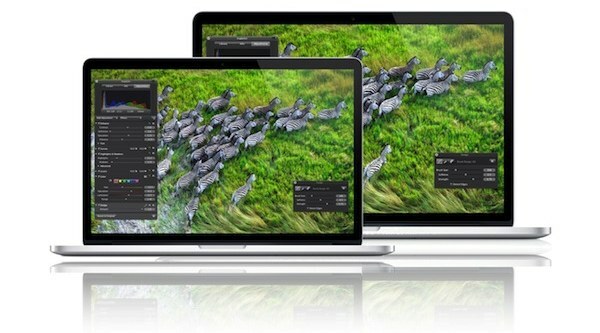 DigiTimes claims that Apple suppliers are already shipping the 2012 iMac and 13-inch Retina MacBook Pro in quantity. “Apple’s upstream supply chain reportedly started mass shipping new iMac all-in-one PCs and Retina Display 13.3-inch MacBook Pros in September, according to sources from the upstream supply chain,” writes the sometimes reliable tech rag.